"Artistes, actors, scholars, poets are all being stifled. Journalists too are being silenced," Naseeruddin Shah said in the video message. 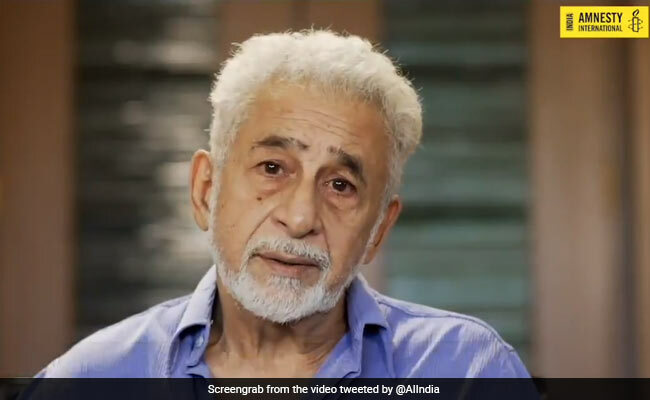 Walls of hatred are being erected in the name of religion in India and those who stand against this "injustice" are being punished, actor Naseeruddin Shah on Friday claimed in video released by the Amnesty India against alleged government "crackdown" on NGOs. In the 2.13-minute solidarity video for the human rights watchdog Amnesty, Naseeruddin Shah said those who demand rights are being locked up. "Artistes, actors, scholars, poets are all being stifled. 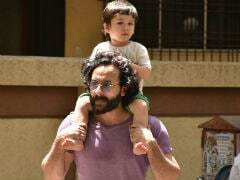 Journalists too are being silenced," he said in the video message. "In the name of religion, walls of hate are being erected. Innocents are being killed. The country is awash with horrific hatred and cruelty," he claimed. He said that those who stand against this "injustice" are having their offices raided, licenses cancelled and bank accounts frozen to silence them so that they are deterred from speaking the truth. "Is this where our country is headed? Had we dreamt of a country where there was no space for dissent, where only the rich and powerful are heard and where the poorest and most vulnerable are oppressed? Where there once was law, there is now only darkness," he said in the video in Urdu. Under the hashtag of #AbkiBaarManavAdhikaar, the Amnesty claimed India has witnessed a massive crackdown on freedom of expression and human rights defenders. "Let''s stand up for our constitutional values this new year and tell the Indian government that its crackdown must end now," the Amnesty said. Aakar Patel, a member of the Amnesty India, said it may seem that the odds are against human rights defenders and civil society in India at this moment, but human rights have always won and will this time also. "The arc of the moral universe is long, as Dr Martin Luther King said, but it bends towards justice. The widespread crackdown on civil society organisations and human rights defenders by the government of India must end immediately," he said. Mr Shah had stoked a controversy last month when he had said that the death of a cow had more significance than that of a police officer. He was speaking in the wake of a mob violence that broke out in Uttar Pradesh's Bulandshahr on December 3 over alleged cow slaughter in the Mahaw village. The violence led to the death of two men, including police inspector Subodh Kumar Singh. "I feel anxious for my children because tomorrow if a mob surrounds them and asks if you are you a Hindu or a Muslim, they will have no answer," Mr Shah had said. Last year, five prominent activists were arrested over their alleged involvement in the Bhima Koregaon violence. The Enforcement Directorate in October conducted searches at two locations of Amnesty International India here in connection with a foreign exchange contravention case. Reacting to Mr Shah's Friday remarks, human rights activist Annie Raja said what he has said is the reality. "There is no space for dissent. There is no space for even democracy. We can see the proof in form of violence all around us," Annie Raja said. Kavita Krishnan, human rights activist and the Secretary of the All India Progressive Women's Association, said Mr Shah is "spot-on" in his observation. "He expressed his concern and I hope people pay attention to it. The world also needs to know what is happening and wake up to the danger in this part of the world," she said.